As lieutenant governor, McMaster served as president of the South Carolina State Senate and headed the Lieutenant Governor’s Office on Aging, which aids older adults with social, economic and health needs. In that capacity, he added senior services to the 2-1-1 system, connecting callers wth support groups and services in their areas. He also established a “Senior Day” at the State House and strengthened the network of “senior ride” projects. AARP named McMaster a “Capitol Caregiver” for his policies to help seniors live independently at home. 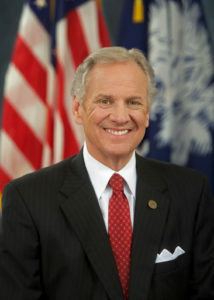 McMaster received his AB degree in history in 1969 from the University of South Carolina and his JD degree in 1973 from the University of South Carolina School of Law, where he served on the South Carolina Law Review. He served in the U.S. Army Reserves in the JAG Corps from 1969 to 1975.